You know your home like the back of your hand, but for a puppy, it’s a whole new world waiting to be explored—and we mean extensively explored. Puppies are too curious for their own good sometimes, often leading them to trouble. In order to keep them safe and establish a very puppy-friendly setting, we have a few tips to share! When you get a puppy, you must remember one thing: always assume that they will get into things. That’s why we suggest tucking away any important items you may have around the house (for the time being.) This just allows you a grace period for your Havanese to become acclimated with their new environment without causing such a ruckus with your belongings. You may not notice the abundance of cords scattered throughout your house, but your puppy will. With puppy teething and their affinity for chewing everything, your Havanese pup will surely stumble across tangled cords and be tempted to bite down. This action could result in a shock, burn, or worse for your puppy. Avoid this painful situation by organizing and containing all of the electrical cords in your house. This is just a precaution until your puppy matures and gets used to chewing on chew toys, not your things. Your medicine and supplements are good for you, but not good for your puppy. These items pose a potential threat to your young pup, ranking as one of the most common sources of pet poisoning each year. So instead of leaving your medication out on the nightstand or counter, try to keep them tucked away in the bathroom closet or higher up in your kitchen cabinets. Just be aware of what is within your puppy’s reach at all times! Some houseplants are unfortunately very toxic for dogs, and of course, your puppy will be curious to take a nibble. So the best way to ensure a non-toxic environment for your Havanese puppy is by conducting the proper research of what plants are and aren’t toxic to dogs. Then simply comb through your plant collection before bringing your pup home! With a smorgasbord of new smells, your puppy’s curiosity will get the best of him as soon as he catches a whiff from the garbage. And although, your greatest worry may be them getting deep into the trash and making a mess, the bigger concern is them stumbling upon something that is potentially dangerous. 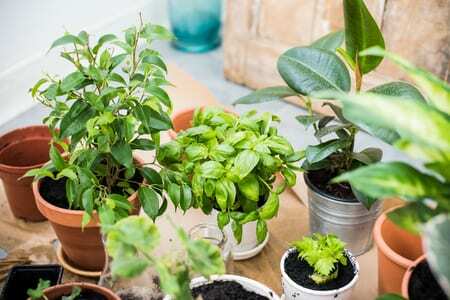 As we had mentioned previously with your medications and houseplants, there are several items that are toxic to dogs that we may not actively think about. So, keep the lid on your trash can and ensure there’s no chance of it toppling over—your pup may be curious, but he’ll be no match for your expert puppy-proofing. You guessed it! Several home cleaning supplies are very dangerous for puppies, so we suggest keeping those items hidden away in a closet that your puppy cannot access or higher up where your little Havanese can’t get to it. Small hazards include sharp or small objects that your pup could get a hold of and potentially hurt themselves with. Doing a quick scan around your house should help you take care of any potential hazards. Just remember to think from a puppy’s point of view; if there’s even an inkling that you think they could get into something, get rid of it! 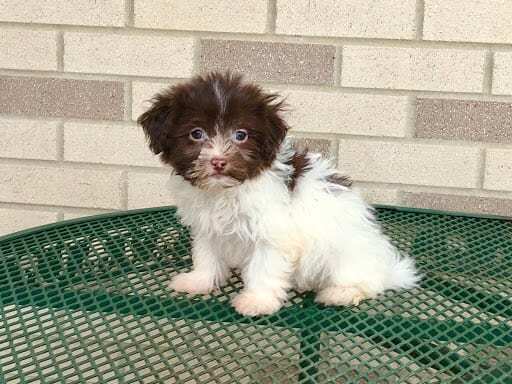 As a leading Havanese breeder in Ohio and Indiana, we strive to make sure that the forever homes our puppies end up going to are completely (and properly) puppy-proofed and that their new owners are expertly prepared before leaving with their new pup. Still looking for the perfect pup to add to your family? Check out our current available Havanese puppies for sale and give us a call at 574-354-2428 today!